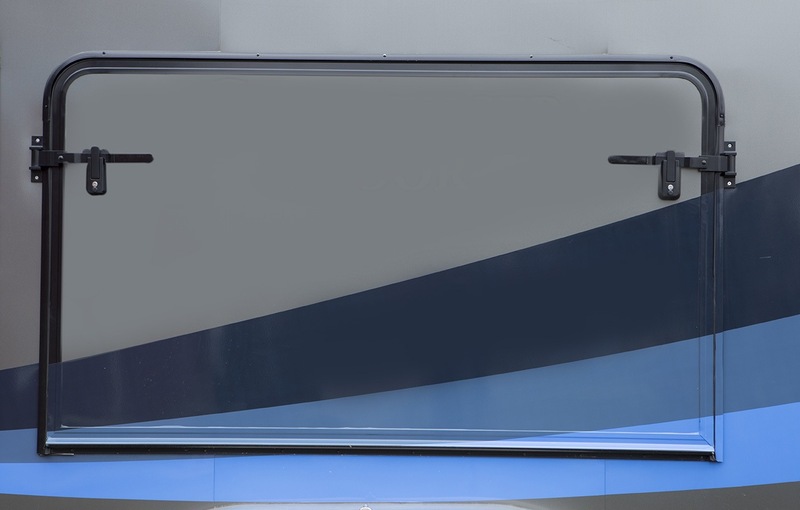 The 1126 Series is another bed door. 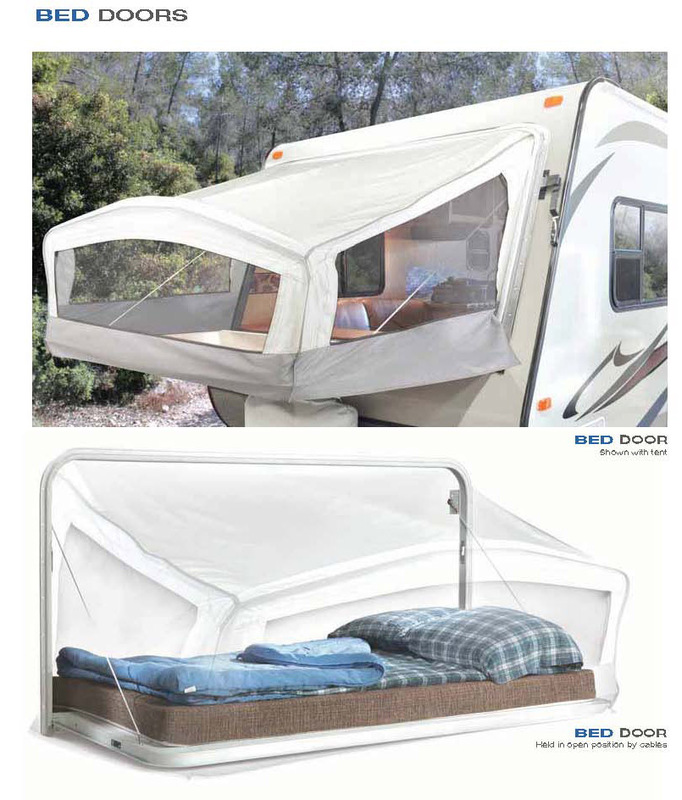 A bed door usually folds down from the sidewall of an RV or towable with an attached canopy. The primary differences between this series and the 1100 Series is that the 1126 has an extruded hinge as well as an aluminum snap cover to conceal the mounting screw heads.It comes standard with our extruded hinge. Creates more interior space for hybrid towables.